After their impressive opening day victory over Colwyn Bay, Farsley make the trip to the Victoria Pleasure Grounds, home of Goole AFC on Tuesday 16 August 2016, kick-off 7.45pm. Aiden Savory gave the Celts all three points on Saturday with his second-half strike to provide Farsley with the perfect start to the season. Goole visited Ramsbottom United on the opening league weekend, and were on the wrong end of a 3-1 defeat. 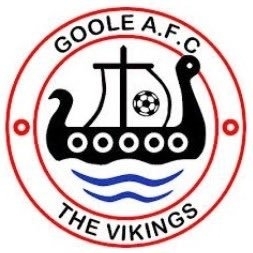 The Vikings were two goals down at the break, but a Sam Robinson effort on eighty-two minutes gave Goole a chance of grabbing a point. However, their hopes were dashed just two minutes later as Ramsbottom added a third goal to seal the win. Last season Goole played in the Evo-Stik League Division One South, but transferred to the North for 2016/17. The last time the Celts played the Vikings in the league was during the 2012/13 season. At the Victoria Pleasure Grounds on Tuesday 16 October 2012, Farsley took the points with a 3-0 win, with goals from Adam Priestley, Adam Muller and Gareth Grant, whilst in the game at Throstle Nest on Saturday 09 February 2013, the game ended in a 1-1 draw. It is early days, but the Celts will be looking to secure all three points and put themselves amongst the early season promotion hopefuls. For Sat-Nav devices, please enter the postcode DN14 6SL. 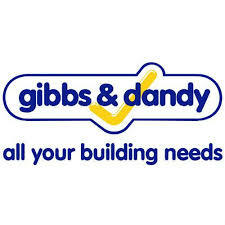 Leave the M62 at Junction 36 and follow the signs to Goole Town Centre. Turn right at the 2nd set of traffic lights onto Boothferry Road. Turn right at Sainsbury's onto Carter Street. Train - The Victoria Pleasure Grounds is just a five-minute walk from Goole Railway Station.  Farsley Celtic FC and J & B Travel Club delighted to see partnership move into its eleventh year. Savory strike earns all three points for Celts  Farsley Celtic opened the 2016/17 season with an excellent 1-0 victory over title favourites Colwyn Bay.